"I’ve been meaning to write a blog for a while about how CRITICAL video is becoming to Facebook, but this week I read 3 important pieces of news confirming that Facebook is going full focus on video, so it’s time to actually get this out. I’ll keep it fairly tight, but, if it’s going to get TLDR (Too Long; Didn't Read) for you let’s make this super clear, if you want to be successful at social media moving forward Facebook video better be a part of your plans. #1. Facebook is now going to include video comments. This one isn’t anything CRAZY for you content producers but it does make a difference to the landscape of the platform. Video discussions à la snapchat and more “personal” conversations will be hitting your newsfeed very soon. I don’t think this will take off immediately, but think about how differently people interact since the introduction of GIFs and just imagine what video can do. #2. Facebook Live is getting some critical updates. First, it will include live videos with a friend. Think of the live jam sessions, the interviews, the eavesdropping all in real time. This is the first super unique step they have made over the other major players, but it’s a cool one. Secondly they are adding scheduled broadcasts and digital waiting rooms. This may seem like a tiny detail but it is actually a big move forward. Currently there is an awkward period for the first 3 minutes or so at the beginning of almost every broadcast as the creator waits for people to arrive. The problem is in that 3 minutes, other people leave. It’s an awkward reality of the platform, when do you start in earnest? Scheduling even 2 min ahead solves this issue completely. #3. Facebook is paying a handful of creators a pretty sizable chunk of change to go live this year. At the moment, Facebook is putting a lot of focus on video, it gets you eyeballs but it didn’t get you direct pay, and it still won’t (for now), unless your name is Kevin Hart or Buzzfeed or Gordon Ramsey, etc. but they are beginning to solve that problem. The fact they are sinking millions of dollars into getting creators to broadcast confirms without a doubt, where this is all going. YouTube has a fantastic system of ads, revenue sharing and subscriptions for the common user. Facebook is not there yet, but it is surely on the way. We all know they love to monetize ads and if you needed anymore confirmation the fact they are starting to pay creators shows intent. Facebook’s search function has been up and down and through various iterations over the past couple years but there is no doubt Google/YouTube dominate this market. Until I can look up any video I want to see, Facebook will be at a massive disadvantage. They are allowing tagging at this point but 8 tags and a less robust system doesn’t hold a candle to the fact YouTube is the world’s 2nd largest search engine. You absolutely CAN embed Facebook videos on other sites, but as of now…it’s a pain. Also a side point the Facebook uploader is slow and really dominates your connection the whole time. Not a huge deal but, it’s nice that YouTube can chug away in the background a little more easily. 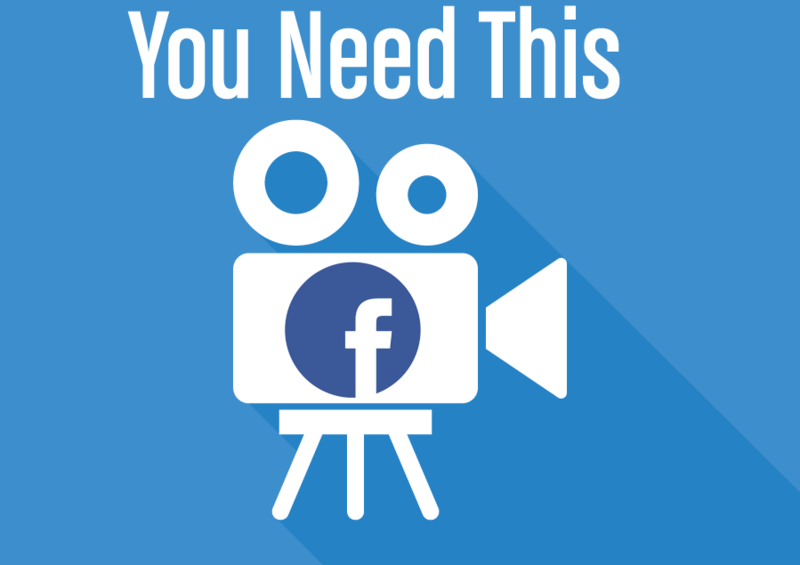 That being said, that’s all coming and Facebook video ESPECIALLY live is going to be a HUGE deal, and honestly it’s already the best way to reach an audience for a low cost, especially if you are making good use of Live video. If you want to chat more working on your video/digital strategy email me at: andrew@checkeredowl.com I’d love to help."